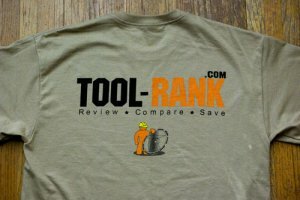 One of my Christmas gifts this year from my Parents was a small box of Tool-Rank T-Shirts. This is something I had thought about doing in the future, but It was nice of them to go ahead and get it started for me. They even included the little orange Tool-Rank man. The photo is of the back of the shirt. The front has a small logo where the pocket would be.